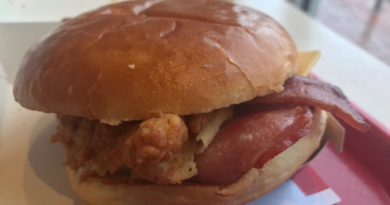 KFC Zinger Double Down Coming Soon! 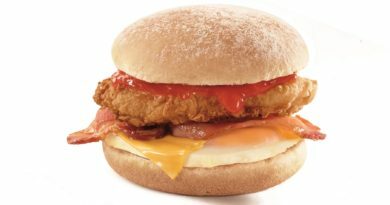 We had speculated before and can now confirm that the Zinger Double Down is coming to KFC UK! 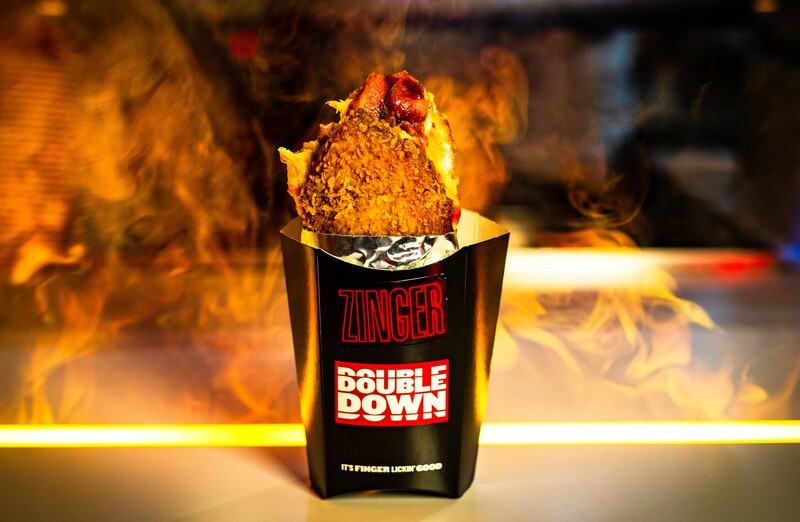 Today, KFC once again makes history as the Zinger Double Down launches for the first time ever in the UK & Ireland. Fans travelled the length and breadth of the country for an exclusive preview of the burger at a central London restaurant. 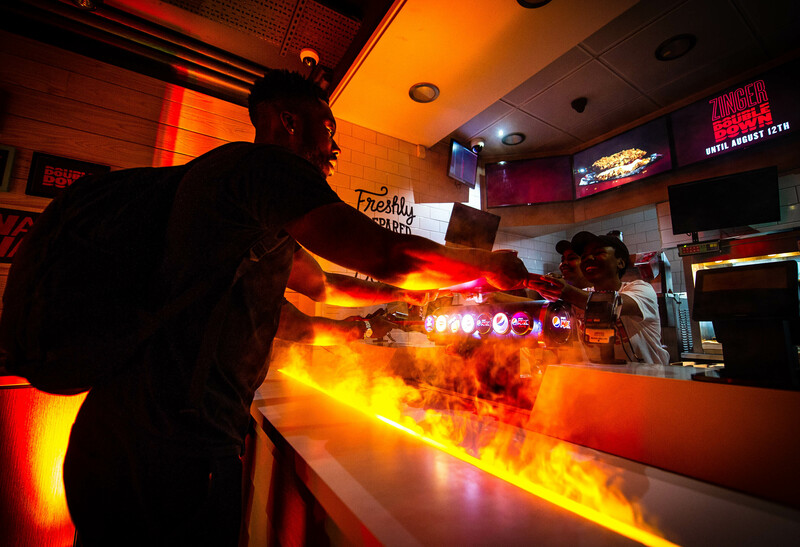 As fans queued up for a first taste, the serving counter set on fire in a smoking hot illusion. 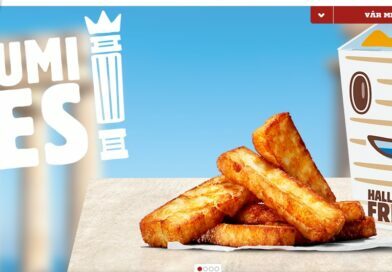 The surprise news will delight fans who were devastated at the impending departure of the Original Recipe Double Down. 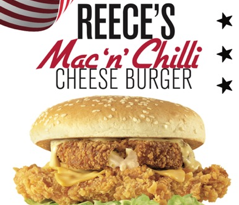 Instead, the bunless burger of dreams has now had an all-new, unexpected spicy makeover, available for just three weeks from the 23rd July. 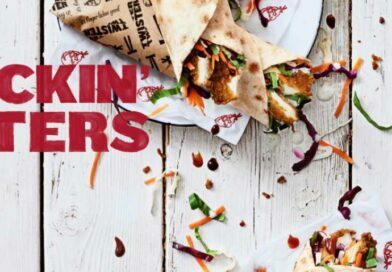 Featuring two fiery-hot Zinger chicken fillets, Double Down’s signature crispy bacon and melted cheese, slathered with hot salsa and pepper mayo. 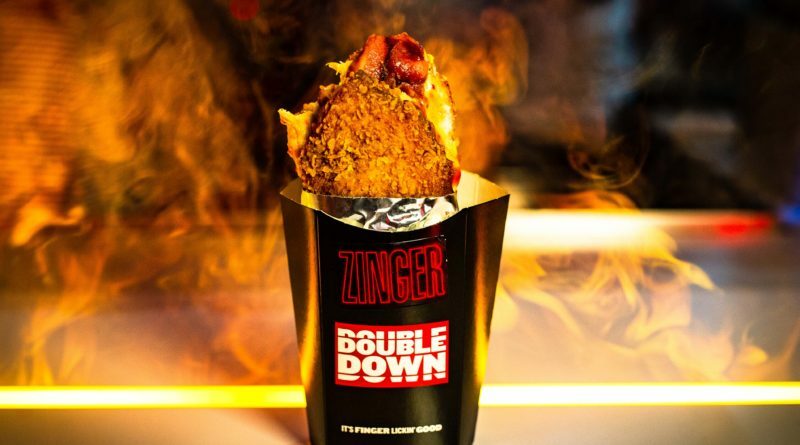 A KFC spokesperson commented: “Ever since we first launched Double Down in the UK, our fans have been calling out for a Zinger edition. We listened. 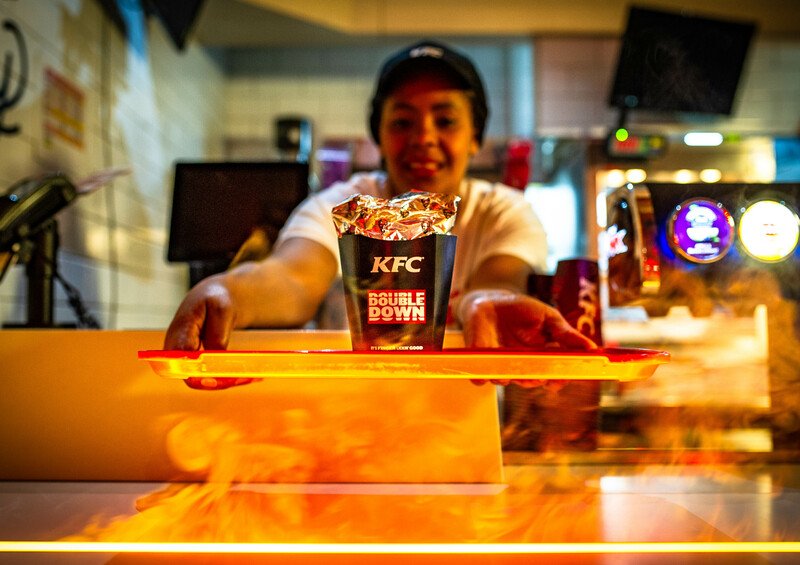 The fiery heat of our Zinger is iconic and one of our best-loved flavours, so we totally agreed it was a no brainer to launch this as a Double Down. The Zinger Double Down will be available until 12th August, with prices starting from £4.79 – or £5.79 with fries and a drink. 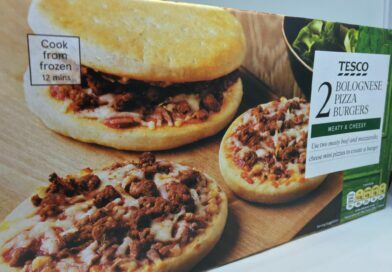 Long-term fans of BURGER LAD® will remember our Devil Down menu hack. 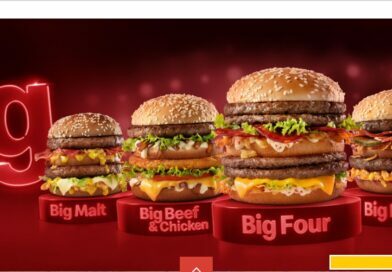 The Zinger version of the Double Down first made an appearance on menus in Malaysia in 2012. What do you think? Will you be trying it? Let us know your thoughts in the comments section below or via the usual BURGER LAD® channels.